The HSC has refrained from making comment on the horrific events which led to the senseless murder of Jo Cox MP until the facts have become clear. Police now have confirmed that her killing was politically motivated and far-right extremism is a priority line of inquiry. Thomas Mair, the man charged with shooting and stabbing to death Jo Cox, gave his name Saturday as “death to traitors, freedom for Britain” during his first court hearing. Irrespective of any mental illnesses, his comment, put in the context of Mair’s history with far-right groups, makes this brutal killing a clear cut case of right-wing extremism, indeed, nothing short of terrorism. For words to have any meaning, we have to apply them consistently. If you rightfully call someone an Islamic extremist for murdering in the name of his religion, then you also have to call someone a far-right extremist, if his crime is grounded in neo-Nazi ideology. We do not absolve Islamic extremists of responsibility for their acts of terror on the grounds of any grievance, real or imagined, and we must be very clear not to allow excuses to be made in this case either. To attack an MP in the course of her carrying out her duties to those who elected her is an attack on the very fabric of society and democracy itself. The case is being dealt with by the Crown Prosecution Service’s Special Crimes Counter Terrorism Division and the HSC hopes to see Thomas Mair prosecuted to the full extent of the law. Since the killing took place just one week before the referendum on Britain’s membership of the European Union, there have been speculations whether or not her death is linked to the way the campaign has been conducted. The HSC takes no position on Britain’s membership of the European Union and has members on both sides of the debate. We have observed with growing concern, however, the emergence of a political culture in which taking different positions is seen not as a productive and democratic part of a free society, but as amoral, belligerent or worse. To vote for Remain does not make one a traitor just as supporting Leave does not make one a racist. The HSC is a great supporter of the work Jo did. We will always admire her courage in defying the Labour whip to place the protection of civilians in danger at the heart of the debate over the deteriorating situation in Syria. Her work on modern slavery and human trafficking showed her great warmth, empathy and compassion for the suffering, regardless of where in the world they were and how high on the national agenda they were. We plan to play our part in carrying on her legacy and advancing the causes she held dear, ensuring the oppressed have a voice, the suffering have whatever protection we can offer and that the peddlers and profiteers of hatred and fear cannot operate in the shadows, but must do so in the full view of the world. 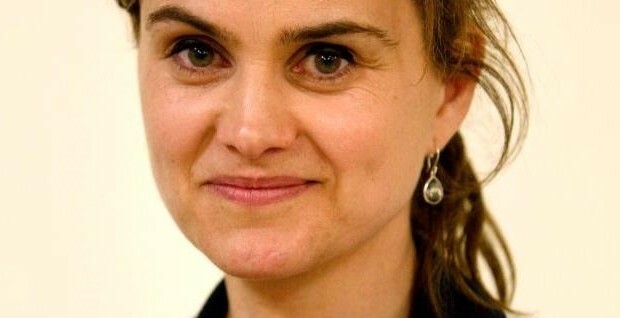 Our hearts and thoughts go out to Jo’s family, friends and colleagues at this difficult time.